[00:00] Hi, I’m Connie Sokol, a national speaker, bestselling author, program founder, and mother of seven and loving it. I’m reaching and teaching 1 million listeners to live a purposeful, organized, and joyful life. You can too. So let’s go. [00:16] Welcome back to Balance reDefined. 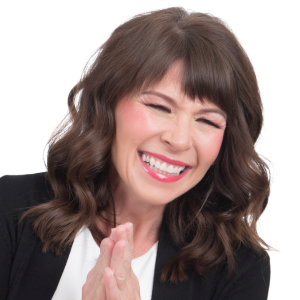 It’s Connie Sokol and I am so happy to have you back for great things to help you in your life, for more purpose, organization, and joy, that’s what we do here! [00:29] So today I’m talking about overcoming that second guess syndrome. Every experience that you’re moving forward, you finally got the motivation and the can do to do the thing you want to do and you’re feeling it. You’re like, okay, I’m really going to do it this time, and then the second guess syndrome hits and you suddenly go..Is this right? Am I wrong? Oh No. Things aren’t starting to work out just so maybe this isn’t the right thing for me to do. Maybe this is not the right person. Maybe it’s not the right situation. Maybe it’s not the right timing, and you start second guessing yourself, whatever it might be, a person’s situation or an experience. [01:07] Have you been there? If not, you will be because we all experience the Second Guess Syndrome and even the best of the best people that I know that are very certain and sure of themselves, they experienced the same thing and I will tell you right off the bat, that’s a good thing. That’s a very good thing because what that tells me is it keeps us supple. It keeps us going to God or whatever your divine influence is. [01:31] It keeps us going back to double check that we’re just not so prideful that we’re like, I know exactly what I’m doing and too bad for you. Everybody move out of the way. Knocking out old ladies and walkers and all of that, like I’m on it. Instead of that there is this healthy bit of double checking. I’m going to talk about that in just a second. [01:50] So I want you to know first and foremost that there is actually a positive to this., so it’s not a failing. I don’t believe from the people that I’ve met in all the years of 20 years that I’ve been teaching. I don’t see it as a failing, but it is a failing if it keeps you from your quality of life, if it keeps you from doing the things you know you want and need to be doing, and if it keeps you from feeling the joy and the certainty of being in the flow when you know that that’s what you’re supposed to be doing, when you know that you’re on the right path. [02:21] So often we sort of circumvent our own joy and we cut it short because we’re so busy. Second guessing if this is what we’re actually supposed to do now I find that this is more of a problem with women than it is more so with men and studies back that up, that men tend to feel more certain about what they’re doing, gotta to translate a little bit more of that pride.Maybe? In a good way, in a good way of that — No, no, no. I’m totally sure, think not asking for directions. I know exactly where we’re going, so I don’t need to ask for directions. That kind of thing. Were a woman is more likely to say, you know, let’s just stop and check. [02:57] Now I will say there is a on both sides. It’s great for someone to feel generally certain about where they’re going and that’s wonderful. And there’s a positive too. Like I said, that double checking, but it can be a negative for women too. Where we can constantly second guess ourselves, even in something so simple as directions. Have you ever done that? I’ve known where I’m going. Then I go, well maybe not. I better check, and it’s so annoying. I don’t, I don’t like when I’m second guessing what I know in my soul is right. [03:24] And so I’ve tried to work more on being able to just know in my soul those signs and those feelings of “this feels right even if my mind isn’t sure, my soul is certain” and that’s what I want to get to today with all of us. So the first point that I want to make besides the overview of this is a positive thing. So let’s work with it. [03:48] The first point I want to make is your soul already knows. I believe that your soul already knows if something is right or not for you. I believe our soul is already five steps down the road at least and already, is clear about what’s going to be helpful for us and what isn’t and that’s why when we talk about going with your gut, doing that gut check that some people call it the Holy Spirit. Some people call it your sixth sense, some people call it your gut, whatever you’re going to call it, I feel that it’s the spirit telling me things, the Holy Spirit, but sometimes it’s a gut feeling. Sometimes it’s the Holy Spirit. Sometimes it’s just a mix. But sometimes I know for myself most of the time I am really listening for that still small voice that tells me, yeah, this is right and I feel like it’s confirming what I, my soul is telling me I want to do, cause I’m kind of checking it. Is this right? Right. [04:37] But my soul already knows my soul is smarter than my brain. My brain’s trying to keep up. This is called in really fancy trendy terms. It’s called hot cognition. And this hot cognition means that your, the different parts of your brain have different awareness levels and timing and so your brain already knows this to be right already knows to be, to be the thing you want to do is, is really that primal brain. It already knows from a wanting place, but it’s not, it hasn’t reasoned through it yet has an analyzed it yet with that neocortex that hasn’t really gotten through all the details of this is why you should do this, it just knows you just feel in your soul. And in this sort of core place, I know what it is that I need to do. 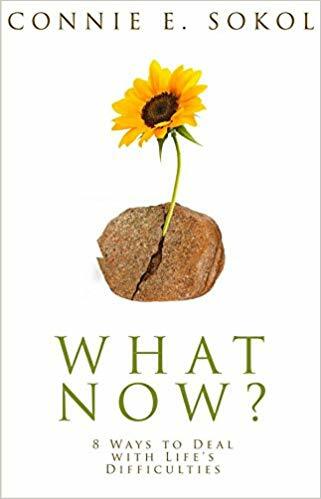 So consider that in terms of hot cognition, you know what it is you need to do now it’s just getting everything else on board, your mind, your body, getting everything else on board with what you know is right for you. [05:35] So the second thing is what I mentioned kind of alluded to before is that recognize the healthy hesitation. This healthy hesitation is so good. It makes us do a quick reassessment to make sure that we haven’t missed something. Now, you know, you see a dress on sale and you’re like hot cognition, I want that, but it’s so good and it’s Calvin Klein and it’s on sale and it’s a great price and I want that. Now you know you’re going to have that little healthy hesitation of do I need it, do I love it, do I want it? And once you’ve gone through those, then you’d go, okay, yeah, this is a sure thing, right? You want to add in a little bit of that analytics. But the healthy hesitation is a good thing. [06:17] Now we probably want to get to a place where we can go through that process as quickly as possible. You don’t want to be dancing around something forever. You don’t want to be hopping between two branches, and especially when there’s a time constraint that’s real. You need to meet that time constraint. Now, you know marketing is going to try to get you with gimmicks. It’s closing now and it’s, you know, 24 hours only and blah blah blah, blah, blah. So you’ve really got to have a presence of mind and that’s why that healthy hesitation is a good thing where they say, don’t purchase anything that you’ve seen right there, leave your credit card at home or put it in ice or whatever. [06:51] But the reality is we’re going to have to make real time decisions very quickly and so that healthy hesitation is a good thing. I would ask you sort of as a qualifier, if you’re looking at that and you’re saying, if I knew it was good for me and I couldn’t fail in doing it, that I would be completely successful in doing it. Would I do it? That’s a good thing to ask. That helps you with that hesitation. It’s a good thing to ask because sometimes the hesitation is just that lack of self confidence. Sometimes it’s, I know I want to do this, I know I need to do this, but I’m just scared to do it and that’s what we’re can talk about in two seconds. But first just ask yourself those questions. [07:44] Isn’t that beautiful? So if you’re trying to live a good life and you’re trying to do your best at doing good things, then your first impression will nine times out of 10 be the right thing to do. So you can get quicker and quicker about following that gut prompting or that spiritual prompting whenever you want to call it, your going to have a better chance of knowing yep, that’s right thing to do and you’ll get really familiar with the way that feels for you when it really sits right. It’s not just you saying, oh, that dress, but you really can feel in your soul, this is the right thing for me to do. [08:16] No matter what pushback I get, I feel like this is the right thing to do and that piece will come with that feeling of I’m going down the right path and it doesn’t matter that there’s obstacles in my way. I feel like I can overcome them and it’s all gonna work out. That’s the feeling we want to hold on to. [08:32] The third thing is you’re going to feel fear. That’s just the bottom line. Anything that’s worth doing is fear and excitement mixed, right? So it’s just gonna it’s gonna happen. So don’t worry about that. But what we want to do with that fears, we want to name it, and I remember the acronym F-E-A-R that’s from Kevin Worthen, it’s F.E.A.R., false evidence appearing real, and so it’s that acronym and you can consider it that way. It feels really real, very real in the moment. [09:01] So you need to name the fear, you need to name exactly what that fear is, and as you name it, as you get very clear about the fear, you name it, then it suddenly shrinks and it becomes more doable. You can do something with it. It minimizes, it goes back to its regular place instead of being magnified in your mind, which is what we don’t want to have happen, and this just happened to me recently, you know, I teach this stuff over 20 years. You’d be thinking, okay Connie, you probably should have this down and in a certain sense, you know when you been teaching it for long enough, you kind of do in a sense, but it’s always a new door because you’re always upleveling. So it’s going to come at you in a different way. So I was releasing a new program and it was for how to be an influential writer, speaker and media personality and the way that it came about was very organic and unexpected. [09:52] I’ve been wanting to do this for years and making notes and all of these things, but the way the timing and all of it that came about was unexpected. So there you go. Has great opportunity for fear because not all every jot and tittle is done, right. Not every piece is put in its place, and so that’s where you’re going to have a lot more of those fears that come up. And so here I was, I was doing just an initial feeling it out, launched just saying, Hey, what do you guys think? So I wasn’t even launching the program, just saying, “Hey, what’s the interest level?” And I was scared to death about this and I was feeling really good about it one day and then the next day it was like, have you ever felt this? [10:27] It was just this frightened rumble of what’s wrong. And I feel go between wanting to cry and wanting to eat donuts and what’s going on with me. And I couldn’t figure it out and it just was, it was like this little rumble that just kept going and going and going all day. And finally by the evening I just couldn’t stand it and I thought I need to call my coach. And so I have a coach and I called her, she’s my coaching director and I call her cause she’s so fabulous. And I said, I am so sorry, I’m calling you as a friend now I really need to have some help getting through this. I need to figure out what this thing is telling me because I know in my mind this is good. What I’m moving forward on is good, I’ve already gotten that confirmation, I know this is right and it’s good, but this fear is so real. [11:10] And I, I actually talked myself through it because I’ve been teaching this so long I could actually sort of self diagnosed and I got to tell you because of the tools that I use, I diagnosed it in about five or six minutes. I was able to start talking through it. I figured out what it was. I figured out what I need to do. I knew the exact route and I knew how to combat it. [11:27] It was pretty, pretty amazing. I have to tell you, it was a really stellar experience because I took what would maybe take three or four days. Um, you know, usually if we’re not aware and we don’t have tools, I condensed it down to this five or six minutes and you’re just kind of going through this very quickly knowing what you need to do next and it was wonderful once identified what it was, I knew what I need to do, then I put it in play and that’s what I did. [11:51] I put out the interest, I had incredible interest. I already had people purchasing the program before I had even launched it. It was, it was unreal, and I, I was so shocked and I thought, what a blessing that I did not give into that fear and shrink back and not hold back because of the what could be’s, what if’s. Instead I was able to move forward by naming that fear and putting it in its place and then combating it with an actual positive to do and taking a step in that right direction. And that’s the last point, is to take the step. When you know that what you’re doing is good, when, when it’s your best guests, right? [12:33] When you have your best guest, that you’re doing what you know is right in your soul and you’re moving forward on it and you’re now just having the second guess moment, then go with it. Step the next step. Just keep moving forward on that purpose path, and as you do that, it will become clear if this is something you should really pay attention to or if it’s just push back, just push back and all you have to do is push it right back. [13:01] All you have to do is push back harder. You do it in a way that says, no, I’m not listening, I know what’s real and I’m moving forward on that. That’s what you need to do. You just step through it because that’s how you’re going to be able to get to that other side. 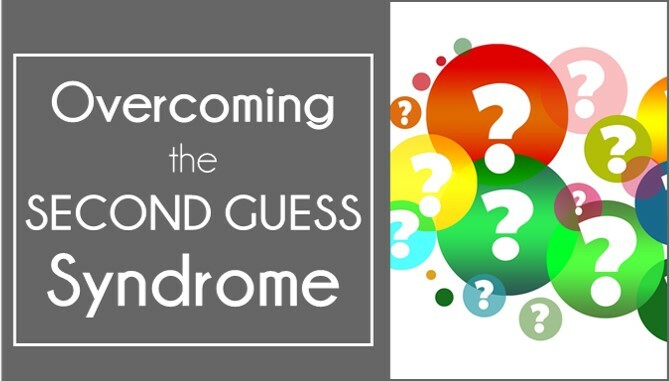 You’re going to be able to get past that second guess syndrome and that’s what we want to do. [13:20] We don’t want to dwell on it. We don’t want to stay there. We don’t want to be sitting in this second guess sort of cess pool. We don’t want to be in this flux and limbo. We want to move forward and we want to see results. We want to break through and get to that next side. That’s what we’re after. So step through it, and it’s such a joy because when you do that, more than likely you’re doing something good for yourself and to benefit the lives of others that you don’t even realize or maybe want to do, but don’t know if it will. [13:51] So I hope you can feel some of this, um, excitement and goodness about how to overcome the second guess syndrome. Remember, it’s a good thing. It’s a good thing. It’s not that we want to have this happen all the time, but when it comes, don’t, don’t be afraid of it. [14:05] It’s a good thing because it means that you’re, you’re staying humble, you’re staying supple. It’s okay. You’re just checking, right? You’re not going to doubt. You’re just checking. Think of it in those terms. [14:15] So the number one thing you want to do is remember that your soul already knows. Your soul already knows. Get that confirmation from the spirit or from the divine influence that you use, but just your soul already knows what it wants. And I would say even more than likely, the path has already been prepared. I find that so often God has already prepared the path, I just need a walk it so just know your soul already knows that’s hot cognition. That’s a little bit trendy title for that. [14:40] And the second thing is recognize that healthy hesitation, it makes us take that moment to reassess. Is it right? Is that what we need? Is that what we want? If I knew I could be completely successful with it, would I move through what it is that I’m second guessing myself about? [14:56] So just consider that and then name the fear. You’re going to feel the fear with the excitement. That’s okay, but name the fear. What is it? What specifically is it that’s keeping you from moving forward? [15:08] And lastly, step into it. Just step into it and through it, and as you do the stepping, you’re going to see the results. You’re going to feel the joy, you’re going to feel the peace. You’re going to be on that other side. And that’s what we want alright. [15:21] Hopefully you got some great stuff out of this today, a little quick boost when you’re just running around and meet that uplift and need to think about life in a little different way and get over some of those obstacles and barriers. [15:32] Again, if you want more of this good juicy stuff than subscribe my podcast so you get the notifications. I do two new a week. So you get wonderful updated, great stuff right at your fingertips. And if you want anything more, my programs, if you want my free challenges, if you want my books, I have bestselling books that are just really useful for you moving forward and even fiction. Yes, I write fiction for fun, that Clean Romance read. If you just want that fun little thing and you can close it up at night with a happy smile on your face. Oh, that’s just the best. [16:14] ake a step and move through it. That’s what I want you to do. So Conniesokol.com. Love Ya, Join me. So happy to have you connect with me today, friends, and you can get more by simply clicking on the next one and remember, make this year the year you get Balanced, reDefined.